Today would be the 18th anniversary of my first date with Ben. I think I’ll always mark these events in my heart. And, I think that’s ok. In fact, I think it’s good. I remember when we wore our “Happily Ever After” buttons at Walt Disney World, even after his ALS diagnosis. 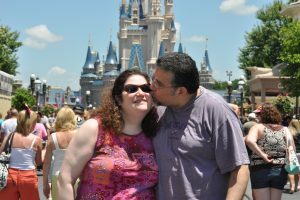 It isn’t always easy to remember pre-ALS days, but days like today bring me back to who we really were and the Disney-like romantic times that we were so fortunate to share. I like to believe that he is now watching over me now as I make new milestones, knowing that I always keep him close.